Volkswagen-brand sales in the U.S. slid 5.1% on a daily basis from year-ago (one more day this year than last) in incentive-charged August, trailing by a wide margin what is expected to be a double-digit gain for the industry overall. Still, Volkswagen of America CEO Jonathan Browning says the month finished above the auto maker’s expectations. In total, VW sold 40,342 vehicles in August, down 1.6% on volume from 41,011 year-ago. 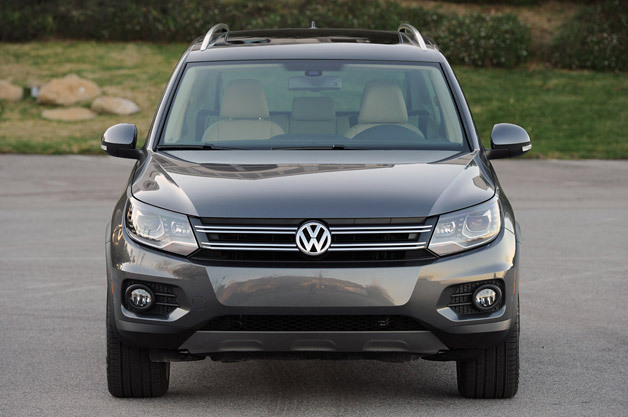 Bright spots included the brand’s core models of Jetta (+1.6% daily), Beetle (+37.5%), and Tiguan (+3.5%). Countering the trend was Touareg demand, down 34.0%, and soft sales of the Passat (-2.6%), outgoing Golf (-42.3%) and Routan minivan (-84.6%). Also hot were diesel models, helped in part by special incentives during the month. August set a record, with TDI-equipped vehicles accounting for 30.4% of the mix on more than 12,000 units. Diesels represented 43.8% of Passat sales for the month. Year-to-date, TDI volume of 68,000-plus also is on a record pace. Browning says the diesel-option incentives were designed to keep TDI momentum going as the model-year winds down and to help clear the decks of a diesel-heavy mix in dealer inventory. VW doesn’t detail its incentive spending, but overall the Volkswagen Group, including Audi and Porsche, saw incentives average $2,461 in August, according to TrueCar, up 17.4% from year-ago, but down 3.3% from July. That was slightly below the industry average of $2,477, TrueCar says. Browning says to expect the industry sales pace to cool in September, but he still believes the market will finish the year near 15.5 million units, with a clear upside toward 16 million, despite some concerns a U.S.-Syria conflict could lower consumer confidence and push gasoline prices higher. “Clearly, the market responded to promotional and consumer offers (in August), and we expect the industry to come in very strongly,” he tells media during a conference call to discuss sales results. “The pace of activity around Labor Day was a spike (due to) very aggressive marketing, and we expect that to soften. “(But for) those who have security in employment and their income outlook, it’s a great time to be buying,” he adds, noting interest rates and residual values on trade-ins remain highly favorable. VWA’s Audi brand posted a record August, topping the previous high for the month recorded a year ago by 21.5% on volume of 14,005 units. It marked the 32nd straight month of record deliveries for Audi, which year-to-date is outpacing 2012’s sales by 14.7%. Porsche also reports its best August on record with volume of 3,327 vehicles. The Cayenne, Boxster/Cayman and 911 all posted increases.